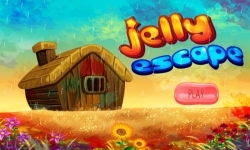 In Jelly Escape You must escape from enemies and your main task is getting all fruits then you can go to home , Jelly Escape has more levels and some of them more difficult to finish it . Long long ago... There have a brave Jelly . He have enemies .You should help him to get all fruits and run to his home . Jelly Escape is a running and jumping game . ★ How to play ★ - His control easier than Mario. - Control from arrows for walk and climb the ladder . - Catch the fruits for bonus score . - Mind the gap and the obstacles on the road . ★ Feature ★ - Simple tap to control the game, comfortable feel . - Lovely Gum with funny emotion . - Lovely Sound .